We have in our store,Red and White Trendy Jackets,which is a buttoned jacket having side pockets in it. These Jackets are skin friendly and available at very competitve and market leading prices with durability and good quality. Customization in form of sizes and colors of these garments is possible as per customer requirement. We manufacture and export red & Black Varsity Jackets, which are made for style savvy people. 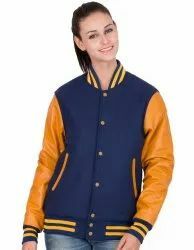 These jackets can also be customized in terms of sizes, designs, patterns and finish. 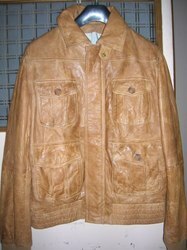 These jackets are crafted from the superior quality fabrics that ensure standard quality and long life of the garment. Our fabrics are highly comfortable and designed in compilation to the latest trends of the market.